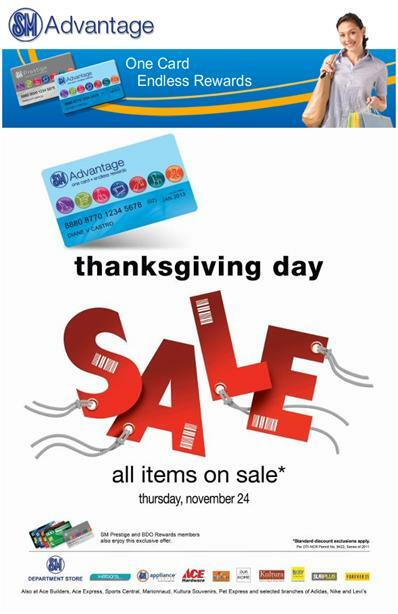 SM Advantage Thanksgiving Sale tomorrow, November 24, 2011. Happening at all SM Malls nationwide. 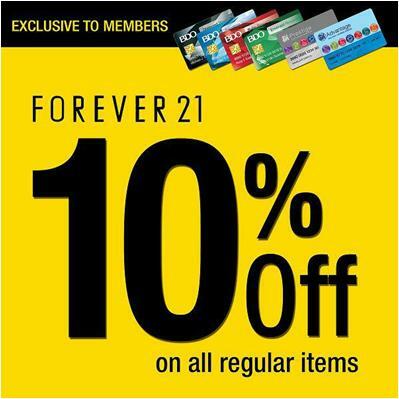 Exclusive only to SM Advantage cardholders, SM Prestige and BDO Rewards card members. Practically all items are on sale. Standard discount exclusions apply. DISCLAIMER: I AM NOT CONNECTED WITH SM OR SM ADVANTAGE CARD I JUST LIKE TO PASS ON THE INFORMATION TO YOU SO YOU COULD MAKE USE OF YOUR CARD IF YOU HAVE ONE.